Italy with Nathalie...: Here it is, Ladies and Gentlemen, my Sassatelli sociology paper! Enjoy! Here it is, Ladies and Gentlemen, my Sassatelli sociology paper! Enjoy! 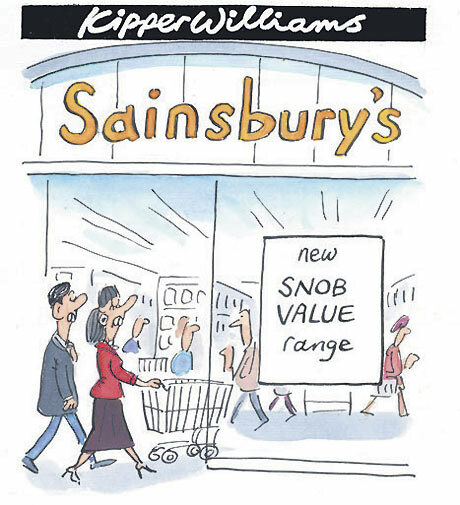 The Snob is dead, long live the Snob! Reading Peterson and Kern’s “Changing Highbrow Taste: From Snob to Omnivore” something in their presentation of the cultural shift they describe didn’t totally convince me. That’s to say that their article appeared just a little bit too optimistic to me. In this text, I will explain what I mean by this and I will try to argument why I think that linking this cultural shift to an increased openness and tolerance of the people involved seems to me rather questionable. In their article Peterson and Kern state that in recent years a cultural shift has been taking place which transformed the characteristics of cultural taste and behavior of high-status persons. If in the past high-status was linked in the cultural domain by a snobbish attitude shunning low-status activities, nowadays high-status persons consider it bon ton to involve in cultural activities of various kinds of levels. They have changed their cultural attitude from a “snobbish exclusion” one to one of “omnivorous appropriation”. Peterson and Kern got to this conclusion after comparing two national surveys (one from 1982, the other from 1992) on the music taste of Americans. I don’t want to go into the details of the way the survey was set up, neither do I wish to explain how they selected their focus group of “highbrow people” because what interested me most were two other things. The first one was the fact that they actually saw a clear shift in cultural behavior of the highbrow people they selected. Highbrows don’t want to be snobs anymore and turned themselves into omnivores who take part in all kind of cultural activities of all kind of cultural levels (including the ones they used to consider too “low” for them). The second interesting element was the fact that Peterson and Kern automatically linked this shift to what I consider to be very positive concepts like tolerance and openness. It is this last element that doesn’t convince me at all and I ask myself if this shift from snob to tolerant omnivore isn’t simply a shift from snob to just a new kind of snob? Couldn’t it be that this new cultural high-status personage that was born during this big cultural shift, is actually still a snob but a disguised one? And that his so applauded new open-mindedness is just the coat under which he hides? But before we can answer this question, we should think of what we really understand by a snob. Since I wouldn’t like to be considered a cultural snob myself (God, no! ), I just looked on Wikipedia and found the following definition: “a snob is someone who believes that some people are inherently inferior to him of her for any one of a variety of reasons, including real or supposed intellect, wealth, education, ancestry, taste, beauty, nationality, et cetera”. So let’s go with this definition after cutting some words out of it and replacing them by culture. This would get us to: “a snob is someone who believes that some people are inherently inferior to him or her for any one of a variety of reasons, including culture”. Thinking of the old generation of highbrows, I would say we can easily agree on the fact that the expression of their high level of culture was very snobbishly tainted indeed. Highbrows had their own particular kind of music, art, cinema, literature, food et cetera and they would look down on anyone who wouldn’t consume the same high-quality goods as they were consuming. These days are over. Peterson and Kern explain us that the new high-status person doesn’t mind high-quality goods that much anymore. That doesn’t mean he stopped liking or consuming them, but he also started to complement them with other goods. With goods that he traditionally wouldn’t have considered up to his social status. On top of that, the new high-status person carefully avoids considering people who don’t consume classic highbrow goods as his inferiors. Like Warde wrote in “Understanding Cultural Omnivorousness: Or, the Myth of the Cultural Omnivore” the new high-status person’s “wide engagement counters snobbery and may indeed be inspired by an abhorrence of turning differences in taste into markers of social status”. Taste doesn’t influence on our status anymore! We can finally consume whatever we want without vicious snobs terrorizing our lives with their condescending look! Now isn’t that wonderful… It almost looks like a fairy tail! Well now that’s exactly my problem. I don’t think it looks like a fairy tail. I think it is a fairy tail! That’s because personally, I can’t believe that our society would really have become so snobby free. Not because I think there are a whole bunch of the old snobs still hidden somewhere after having managed to stay out of the polls. But simply because I think high-status people (or would-be high-status people) will always want to distinguish themselves in one way or the other. Otherwise how would we be able to continue considering them high-status people? How could we recognize them? High-status people don’t want to lose that special honor! They don’t want to be deprived of that nice feeling of being considered at the top of society with most other people staying way below them! Why would they? BUT, as history told us and Peterson and Kern reminded us, the highly racist and elitist nazi discours which dominated World War II has had an enormous impact on people. It convinced them it wasn’t very appropriate anymore to like things such as distinction and superior/inferior-classifications. That doesn’t mean people don’t secretly continue liking them but they will not admit it anymore. That doesn’t mean they don’t secretly continue classifying people, but openly they will do anything to prove the opposite. Because that’s what nice, civilized people do. You don’t want to look like a nazi, do you? According to me, this way of reasoning could be a good explanation of the cultural shift Peterson and Kern described. But it also explains why I think we shouldn’t link it necessarily to more openness and a more tolerant behavior (at least not a sincere one). I think deep inside people continue thinking the way they did before. High-status people still want to be clearly recognized as high-status people and as they did in the past, they will continue using culture as an instrument to get their public recognition. The only difference is that they don’t do this anymore by focusing on the consumption of one elite group of goods. They do it by displaying to what an extreme extend they are open-minded and by underlining again and again how easy it is for them to talk about more a less anything in this semi-connoisseur way. The “old snob” tried to distinguish himself by being a real connoisseur of one little, well-determined upper-class domain. The omnivore, or the “new snob” as I would call him, measures his superiority exactly by his openness and by the range of his omnivorousness.